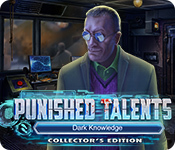 Punished Talents: Dark Knowledge Collector's Edition is rated 3.0 out of 5 by 24. Rated 5 out of 5 by Marja67 from Sure Like This Game. Really like this one. Good graphics, music and story line. Lasts a long time. Rated 4 out of 5 by WPLUBEGIRL from LOVE THE SNOW It seems that reviewers are not fairly rating some games anymore. Yes this game was not perfect however, it surely doesn't deserve the one star ratings. I only have played the demo but I will be purchasing this one. I love the realistic scenes and being out doors in the snow and the best part, there are no monsters, hieroglyphics or scenes that all look alike. The graphics were excellent and the story was easy to follow and somewhat unique. I like the hands on approach to solving the murder mystery and the h.o. scenes that you search for evidence in. If you like being out doors in the snow, realistic scenes and a good murder mystery then try this game out. Note, us reviewers need to start saving the five star ratings for extraordinarily highest quality games and one star ratings for games that are of the poorest quality and all others in between somewhere. Its not fair to the developers who have put so much effort into making these games to not rate them fairly. Rated 4 out of 5 by GoneFishin86 from Continuing an Old Favorite! I have always been a fan of this series ans have waited for the next installment with bated breath. The new addition is very well done. The mini games are a pleasant challenge and the HOP are good fun. The only complaints I have is that it is too short and the story line id kind of generic. Even with the generic story it was still very engaging. Rated 4 out of 5 by eric72 from No regret to have purchased this game ..despite its shortcomings in the realism department. This was a game i reasonably enjoyed playing. I really appreciated that the character we play is a man and that he talks only when needed. 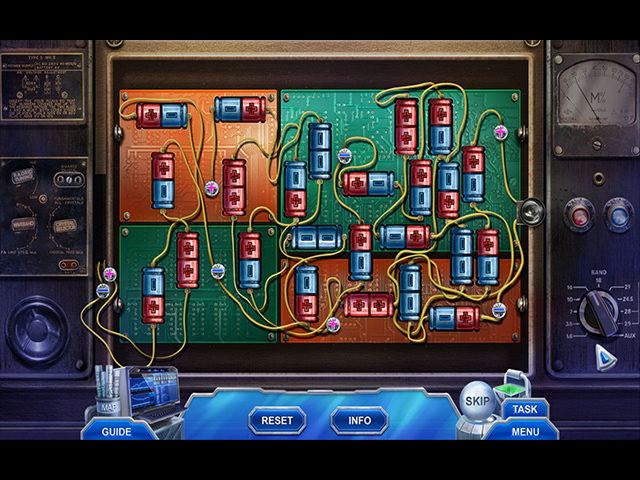 The game looks modern and have a good fluency , sometimes you have to think a bit but it is rather easy. Many different audios tracks, the graphics are realistic. Not a lot of mini-games , you can replay all 15 of them (bonus included ) in the extra section but some are interesting to solve. The HO scenes are a bit disappointing , easy and are mostly lists with a bit of interaction. There is this gimmick with glasses but you use them only 5 times if i remember well. The bonus level turns out to be a survival kind of story where you play the same man who has to deliver his wife and daughter, then both of them help you and some situations made me smile. The game duration is about 3 hours plus almost 1 for the bonus. 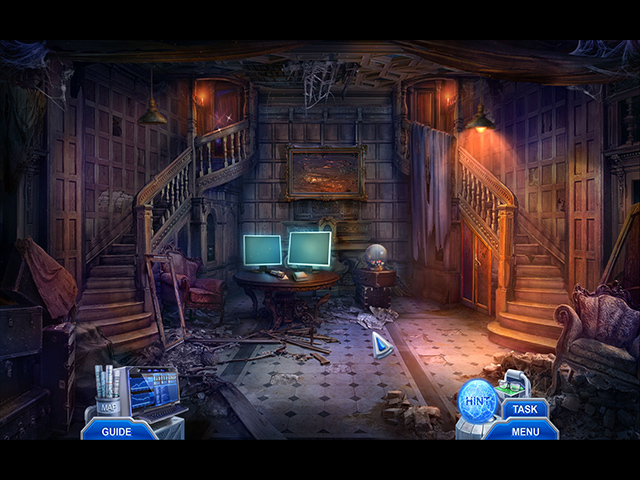 Rated 4 out of 5 by Valdy from Wintry Whodunnit With most games, I have lost interest in searching for hidden objects, but liked the HOS I have played so far in this game. Usually I don't care for mini games, especially when they appear one after the other, but the puzzles I have come across so far were easy and fun enough so that I didn't want to skip them. Colour scheme, gameplay and characters were, so far, of quality. By the time I am close to the end of a game, I am usually tired of it, and don't want to go into the extra bonus chapter. Therefor the only reason I would buy a CE is if the collectables are fun and plenty, and even better if the collectables are related to furnishing a room or something similar. Just looking for morphing handprints is not what I would call fun. For me, most CEs aren't worth the double price. I don't want to replay HOS and puzzles. I don't care for wallpaper that has the dev's name and/or game's name printed on it nor do I want to look at the concept art. Those are simply not worth the extra price. At least for me. So I would rather wait for SE to come out. Rated 4 out of 5 by dancemom1 from Oh no I didn't! Hello friends! Looks like we have #3 in this series. As usual, I review mostly on the game play and leave the story line to others. Like the other two in this series, the graphics are excellent. I did not see any blurring when going in and out of close ups or anywhere else. Colors are very bright and true with no faded or foggy type color. Excellent animation, very realistic, except that the mouth movement didn't quite keep up with the voices...they kept moving after the dialog had stopped. Not a deal breaker. Voices are well done, age and character appropriate. I loved the very sinister voice of our "bad guy." Very nice sound FX throughout. I did find the footsteps a bit off putting, whenever we moved around in a room. That seemed to disappear as the game progressed. Music is very soothing and quiet enough to be background sound, rather than overtaking the game with noise. We don't have a helper, but we do have investigative glasses to help find clues. In order to get the clue, you play a HOP. I did note that the glasses did not always let you know you needed to use them, so click on them in every room just in case, or you may miss something you need. HOPs seem to be interactive lists, but are well done. Scenes are very clear and items are not difficult to find. I think the only puzzle I have run across is the clue board. Everything else just seemed to be finding and using inventory items. Hint system is very helpful and we do have the transport feature. We do a lot of back tracking, so this comes in real handy. Some inventory items in a scene can be a little small and we don't always have the close up feature to help us out. Collectibles were a little disappointing. Unless I missed something, all we have are 25 morphing hand prints. These are very large, but not as easy to spot as you think. They are well placed in a scene. Definitely needed more. I was pretty much drawn into this one from the opening scene. Yes, a family member is missing, again. And so are some other people we need to find and help out of some very cold situations. However, the story is a well done "who dunnit." We need to investigate the clues and determine who and why. It isn't really a challenging game, but interesting and it flows very well, with constant action and movement. I downgraded this one to a 4.5 because of the voice vs mouth movements and the lack of better collectibles. That said, I like this game and I think most all levels of players will too. I have the need to find out what's happening and why. Yes, I am adding it to my collection of CE games. As always, try it for yourself and see what you think. We all have different tastes in games and you may not care for this one at all. Thanks for the reviews. Play on! Rated 4 out of 5 by 0Jade from Adventure Tracking Since the first review, although negative, thoroughly covered the details of the game, I'll just say, I disagree with their assessment of the game and the comments that it was old-school.. The developers did there best to come up with a different storyline than most. 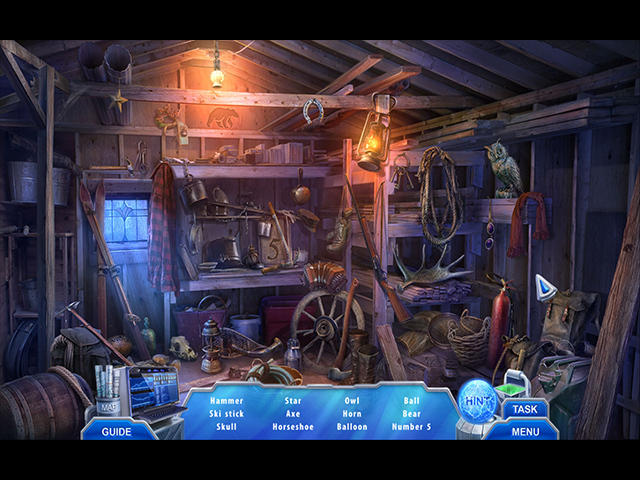 Adventure gamers should enjoy it; hidden object people not as much, as it's more figuring out how things work together than it is about finding hidden objects. I thought of it as many small games sewn together into a common storyline that makes up the larger game. I was disappointed when my demo time was up - I did want to continue on. Try it.